Rep. Susan Davis, a senior member of the House Armed Services Committee, said Friday that President Trump’s decision to withdraw from the Intermediate-Rage Nuclear Forces Treaty could lead to a nuclear arms race. “Once again, when given the opportunity to put America first or Russia first, the Trump Administration chooses the latter. Russia should be held accountable for its violations, not rewarded as this decision does,” said the Democrat from San Diego. “The Trump Administration needs to stand with our NATO allies and stand up to Russia, instead of putting us on a dangerous path of another nuclear arms race,” she said. The treaty, signed in 1987, had banned ground-launched missiles with a range of 300 to 3,400 miles. 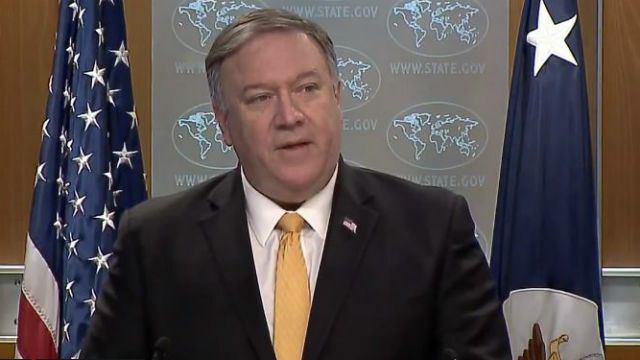 Secretary of State Pompeo said Friday Russia has been in breach of the treaty for over five years by fielding illegal missiles. He said the United States will officially suspend its obligations under the treaty and and notify all parties of its intent to withdraw in six months. Davis represents the 53rd District, which includes central San Diego, La Mesa, Lemon Grove, Spring Valley and parts of El Cajon and Chula Vista.